Surface melt pond on the Milne Ice Shelf northern Ellesmere Island, NU. (c) Andrew Hamilton 2013. 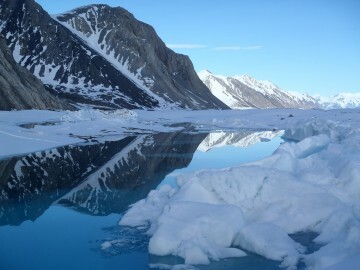 UBC-EFM PhD Candidate Andrew Hamilton was interviewed by CBC Radio about recent changes taking place on northern Ellesmere Island. Follow the link below to view photos and listen to the interview.